Acting has more to do than just having looks and personality. Especially, if you are not connected to the fraternity of actors in any way. Read Shekhar Kapur on the art of acting here and http://shekharkapur.com/blog/2010/07/998/ and ask yourself if you still want to be an actor. Or would you rather be a model. If acting is what you can do and actor is who you want to be then the biggest thing you can do is to start living your craft day in and day out, take your opportunities and success will come. There are Ads you can do, TV serials, music videos, theater, movies. Start networking in the right circles. Talent professions such as acting have no structured paths. If you have the talent, you would naturally want to show it. The acclaim you receive say at the school level will get you opportunities to perform at the inter-school level and the community level. As you keep performing, you will one day perform in front of important people. If they like your work, they will recommend to you the next steps. This initial grind helps you to develop your craft and also to assess how others receive your talent. If you are convinced that you want to take up acting professionally, there are post graduate diplomas offered by National School of Drama and Film and TV Institute of India, Pune. The courses span two to three years and are highly selective with a large number of applicants and very small batch sizes. There are also specific short-duration courses spanning three months to a year conducted by private institutes, some of them run by well known theater and film personalities, that you can take up to perfect your art and also to gain access to work. Think about and choose when you want to jump into a career as an actor. You can invest completely in your craft if you have the emotional and financial support to do so. If you don’t, you may want to start with a plan B, a fall back plan. Pursue the plan B full-time and pursue acting opportunities on the side. See how it goes, seek feedback and check how the industry insiders receive you and your talent and decide as you go along. To know more about what is it like to work in the Film and TV Industry, click here. 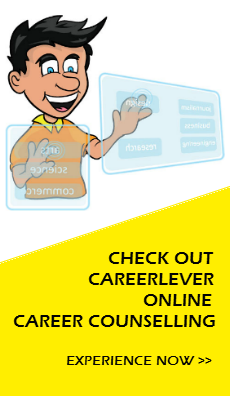 To know about other careers in Film and TV Industry, click here.